Nigeria Nollywood Actress, Tonto Dikeh, made this known via her Instagram page on Monday, August 20, 2018. A fearless Tonto says she is waiting for the police and also went to say that she is not intimidated by anything in this life. I am a mother and nothing in this life can intimidate me… #Dear Oga police if you need me you have my no. Like I said going to my home if anything happens to my son, Pls have a spare of whatever you did to him to do to me!!! #DROPS MIC,” she wrote. 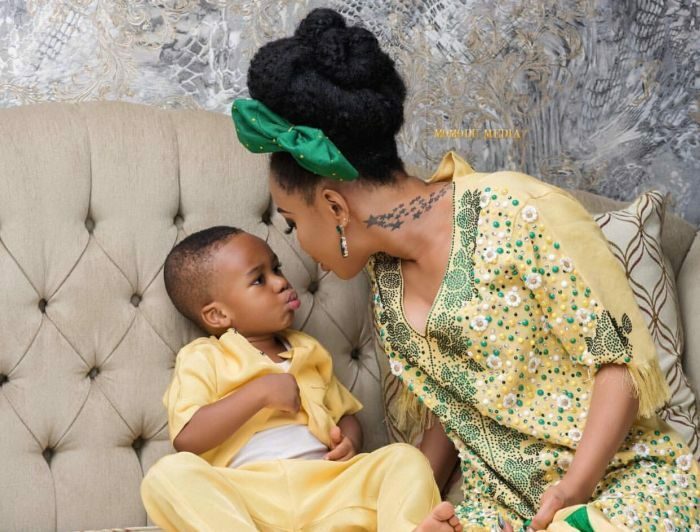 Even though it is not clear why the police are coming to Tonto Dikeh’s residence, this might be connected to her frosty relationship with her ex-husband, Churchill Oladunni and the custody battle over their son, King. A few weeks ago she revealed that she had installed CCTVs around her home for her son’s protection.